The wall featured in the scene where one of the characters, Chatur, tries to urinate on it but is electrocuted by an invention of school children. 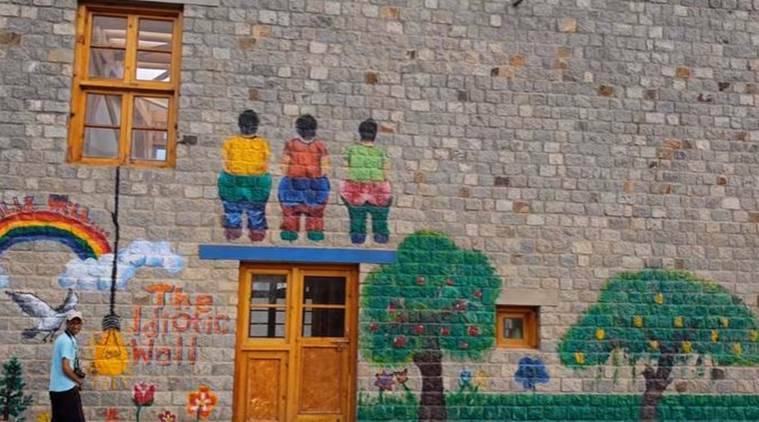 In a bid to reduce tourist activities and prevent distraction for students, the Druk Padma Karpo School in Leh has decided to demolish the ‘Rancho Wall’ and ban the entry of tourists in the school, PTI reported. The school shot to fame after it was featured in Amir Khan-starrer ‘3-idiots’. “The movie gave a lot of publicity to the school and it became a must visit for the tourists visiting Ladakh. However, we realised that the purpose of having a school in the area was getting defeated. Not only students were getting distracted by the tourists flocking the school but also every day the campus was being reduced to a litter ground,” school principal Stanzin Kunzang told PTI. The wall featured in the scene where one of the characters, Chatur, tries to urinate on it but is electrocuted by an invention of school children. The wall was later painted by school authorities and named Rancho Wall. Ever since, the wall has become a place of tourist attraction and people visiting Leh tend to take photographs along the wall. The movie also made famous the Pangong Tso lake which was featured in the climax scene.